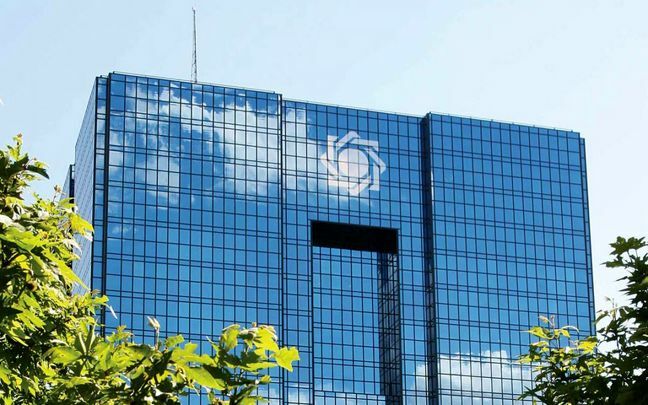 EghtesadOnline: As the Central Bank of Iran struggles to stabilize the foreign exchange market – a colossal task that has long exacted energy and focus of the regulator – some argue that the CBI’s disproportionate focus on controlling the demand side of forex could ultimately do more harm than help. Through import bans, limits on POS device transactions, priority allocation of currency to importers and the crackdown on black market traders, the bank has been able to keep forex rates relatively stable since November 4 when the latest round of unilateral US sanctions were announced. CBI's apparent disregard for the supply side has led to a systemic decline in exports for two months. Customs data show that non-oil exports, which had picked up after the rial's sharp decline in the first half of 2018, are losing momentum. Exports in the month to mid-December was $1.86 billion -- a whopping 56% decline compared to the previous month, according to Financial Tribune. The problem reached a crescendo on Tuesday when Asadollah Asgaroladi, president of Iran-China Chamber of Commerce and a prominent business leader in the country decided to shun niceties and tired clichés. The senior stakeholder in the complex domestic business climate predicted tougher times for Iranian exports in spring that could bring the whole business to a screeching halt. "For the first time in 64 years, I have stopped my export business," Asgaroladi said bluntly. In addition to the usual red tape and deluge of directives that targeted businesses since April when the government infamously fixed the USD exchange rate at 42,000 rials, exporters have directed their ire at Nima – the Integrated Forex Deals System -- where the government insists all currency deals must be conducted. In a talk with the Financial Tribune, Mohammad Lahouti, president of Export Federation of Iran said while exporters accept that they should bring back their currency earnings to the national economic system, policy and decision-makers must also create and coordinate the conditions in a way that makes it possible for exporters to function and be able to repatriate their currency earnings. "This makes all the more sense with the [US] sanctions and the present economic conditions of the country," Lahouti said. The CBI communicated its last currency repatriation rules last December according to which up to €1 million in export earnings is exempt and can be sold outside Nima. "The CBI has proposed a variety of ways for exporters to repatriate their earnings, one of which is Nima and the problem is that only Nima works here," Lahouti said. The import registration system does not allow exporters to use their earnings for import despite the fact that is permissible by law, he complained. Based on quirky Nima rules, exporters cannot use their own currency to import raw material simply because raw materials fall in the so-called 'priority two' list. And because the stringent rules cannot be violated, export earnings (which are mostly considered 'priority 3' in that they are finished or consumer products) cannot be used for importing raw materials by exporters themselves and even other importers. "These priorities should be scrapped and export earnings should be used for all legally-registered imports. Although the new industry and trade minister made some promises nothing has happened yet." Taking the argument further, Lahouti said, “All the relevant government agencies should get together to pool minds and find a way out (of this dilemma) so that exporters can use different methods to bring back their earnings. He said a solution can both increase the supply of currency, help accelerate imports and cub shortages of raw materials. "Nima is a currency exchange system that means you must sell your foreign currency to exchangers or companies affiliated to the exchange bureau. But most of the companies that buy Iranian goods wire the money to producers and not to money exchange shops," Lahouti said as a matter of fact. "This is to know where the money coming into Iran is spent on which goods so that they do not violate the sanctions’ rules and so parts of the earnings could come to Nima but not all of it." He expressed the hope that if other repatriation ways are offered, registration problems are resolved and export base prices reformed, the forex market would also benefit.